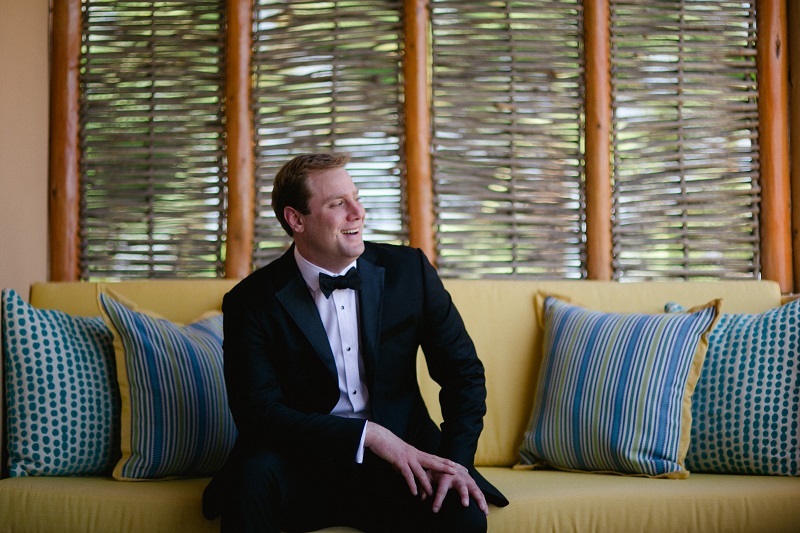 WHAT HAPPENS WHEN you start planning your dream wedding in Chicago, thinking it will be in a big tent in your backyard, only to see your plans go awry? 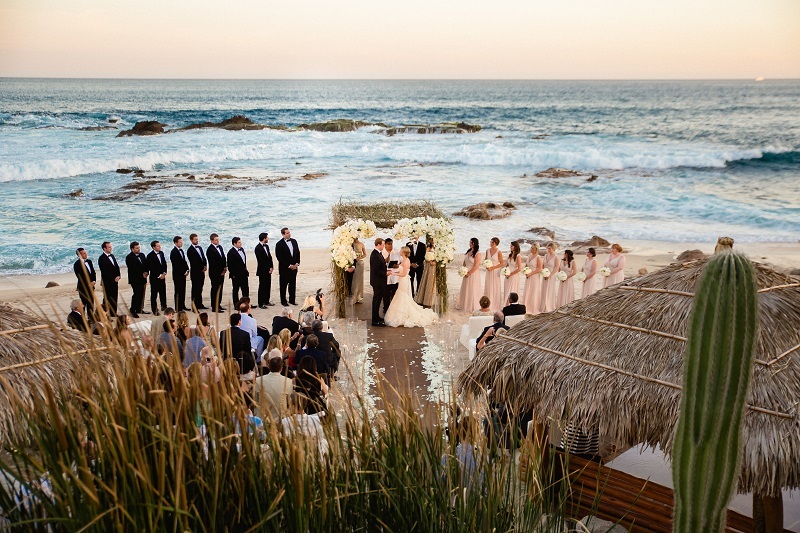 Well, you stop everything and move it to Mexico! 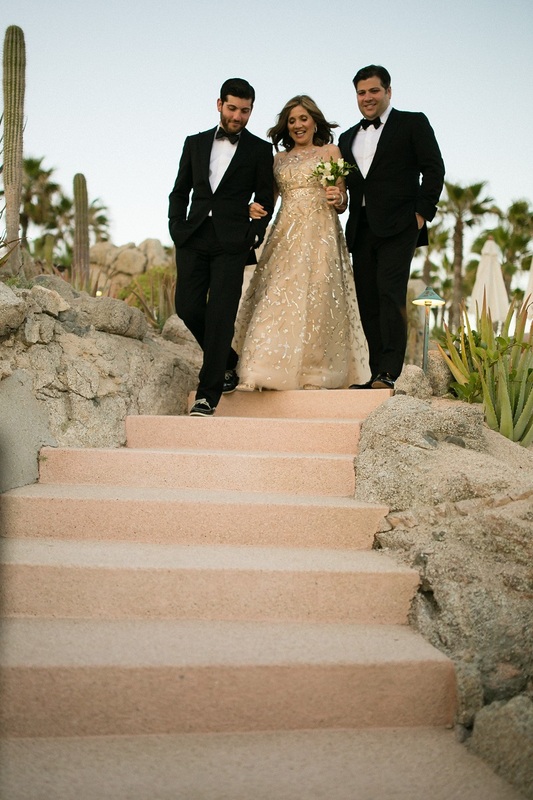 That’s exactly what Molly and Alex did when they watched their original wedding plans expand into a place that had them more stressed than excited. 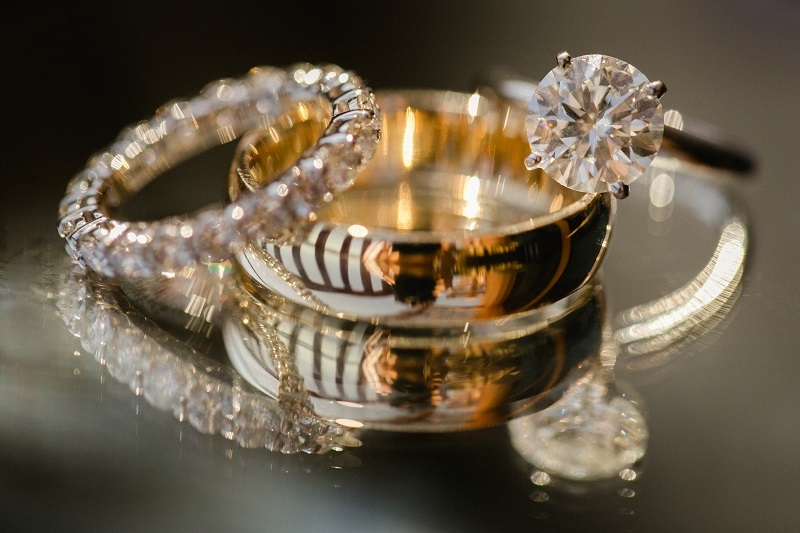 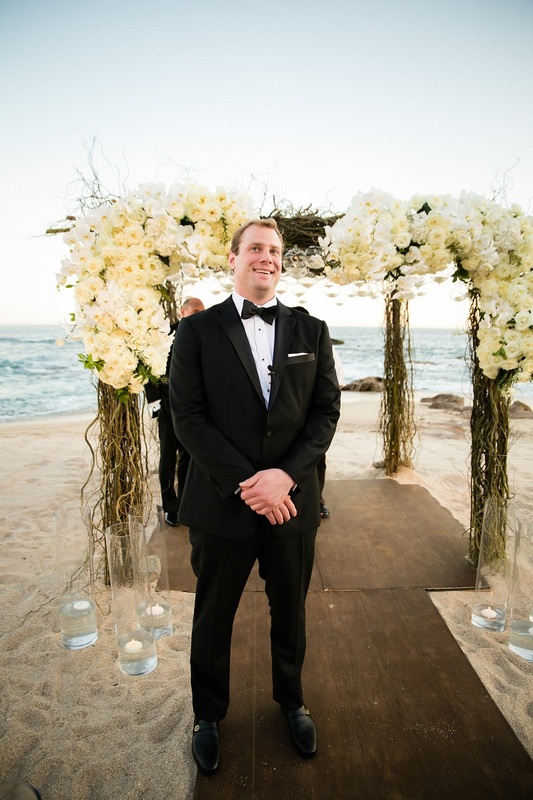 “The guest list kept growing; the number of tents and porta-potties kept increasing; I wanted our wedding to be intimate and fun for our families, not a long evening of shaking hands with hundreds of people we hardly knew. 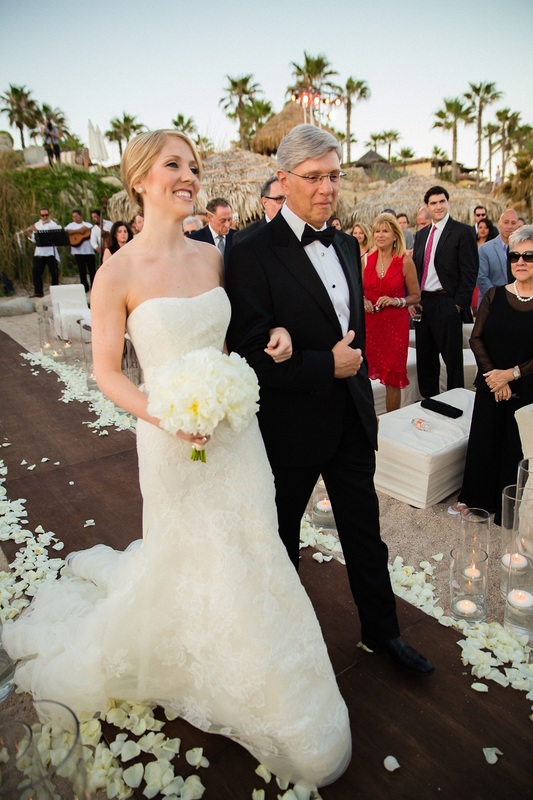 I also wanted both of our families on the dance floor enjoying the music, our guests and each other.” says our lovely bride, Molly Mann. 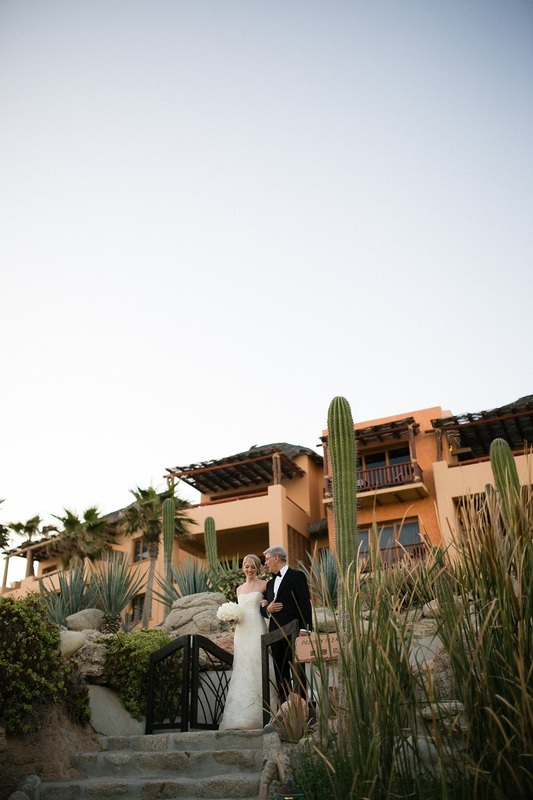 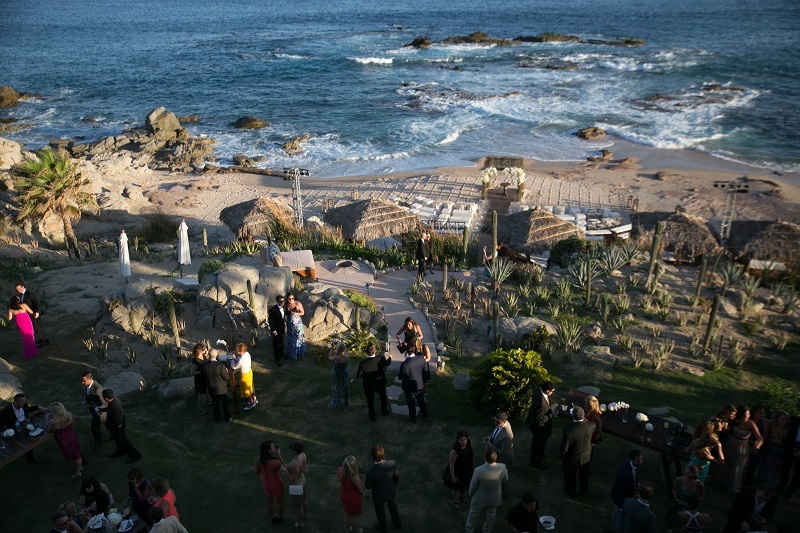 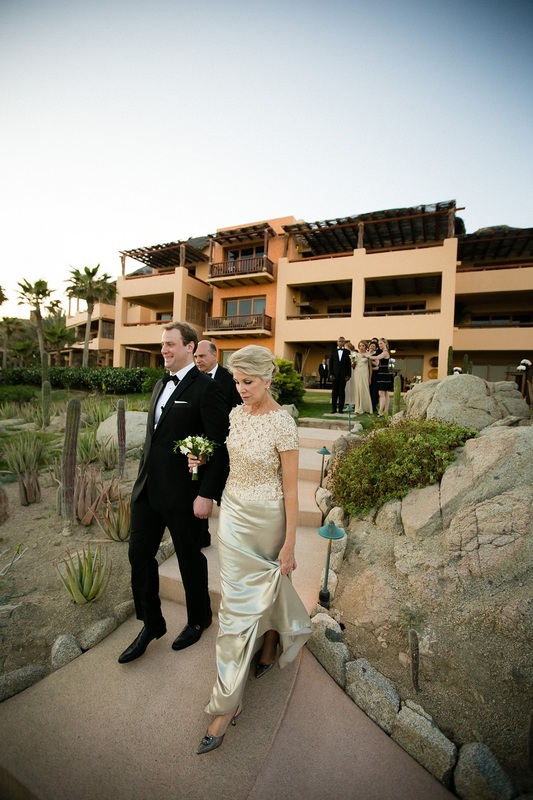 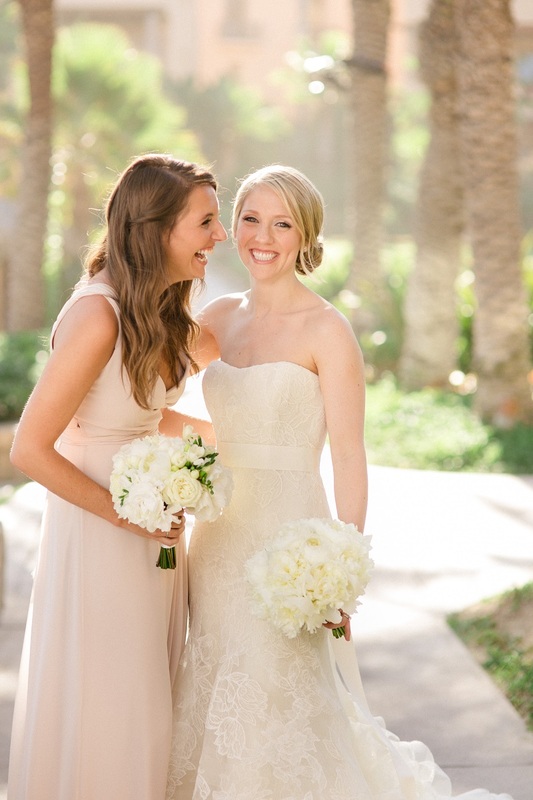 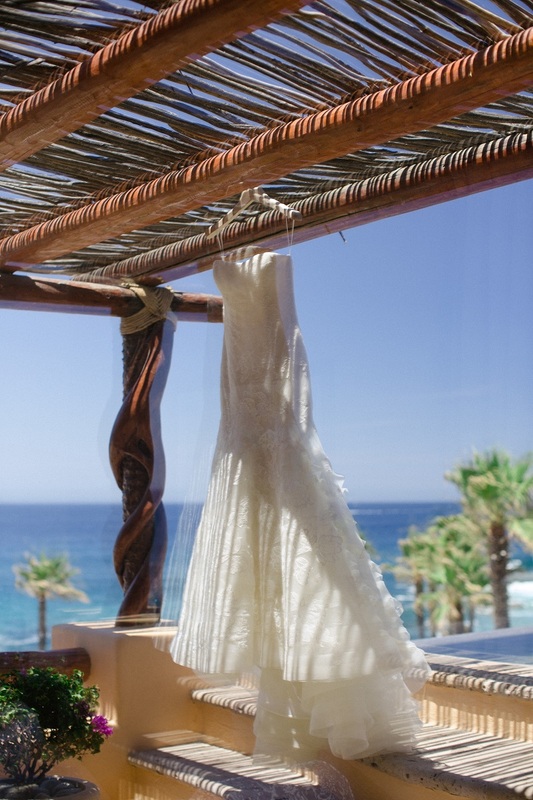 THE GORGEOUS NATURAL SETTING at Esperanza was an amazing backdrop to work with and design around, from lush tropical greenery, to vibrantly colored flowers, rustic warm adobe, and the bright blue of the Sea of Cortez. 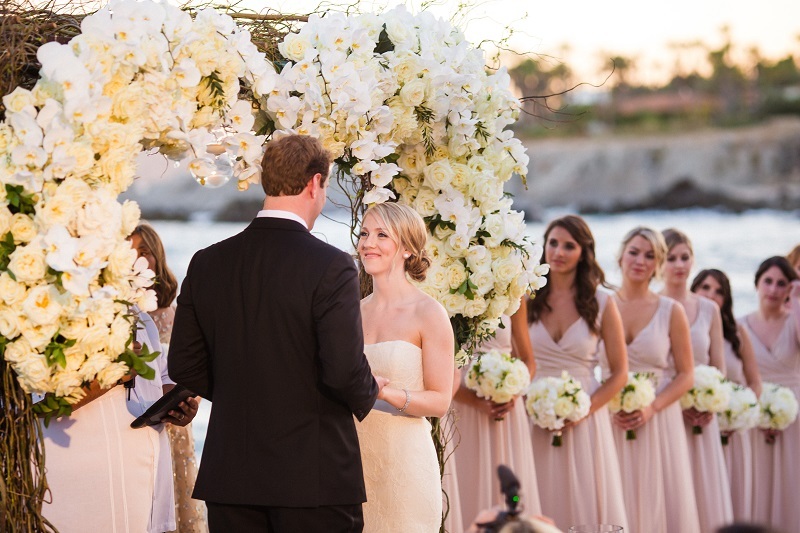 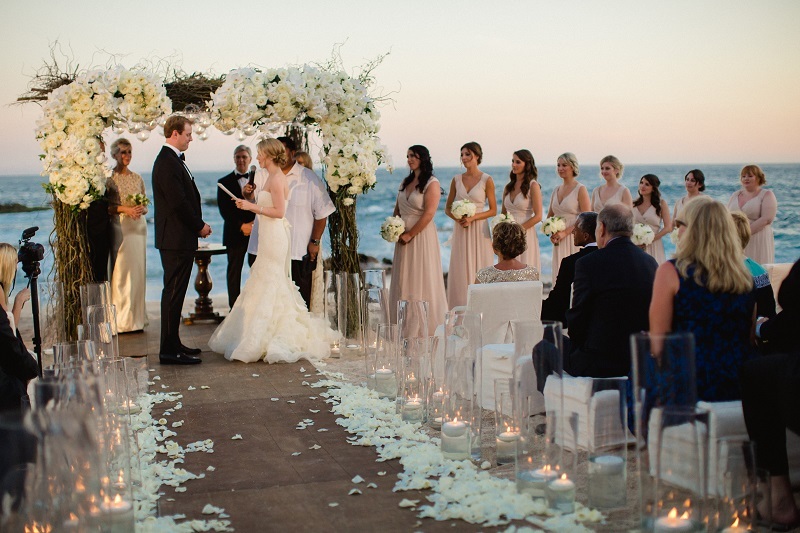 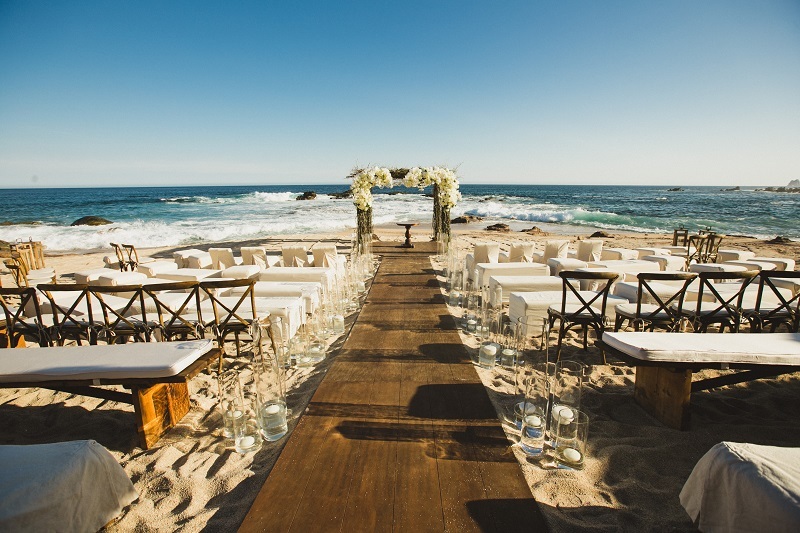 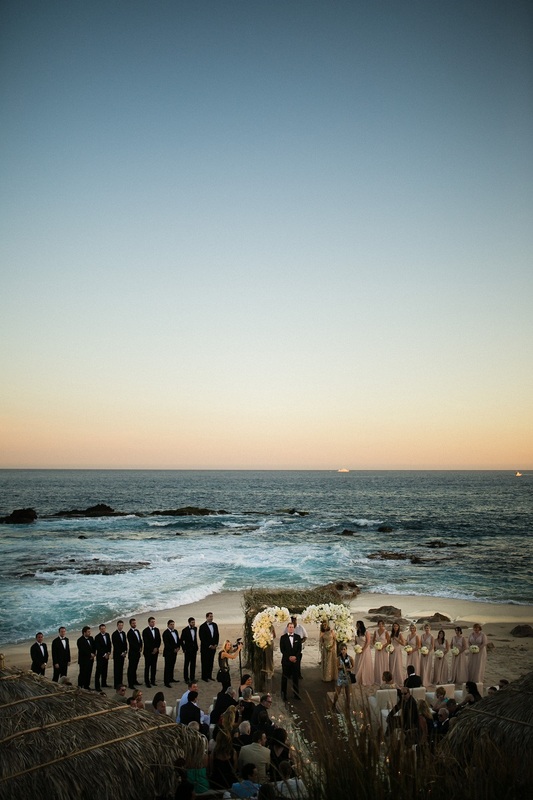 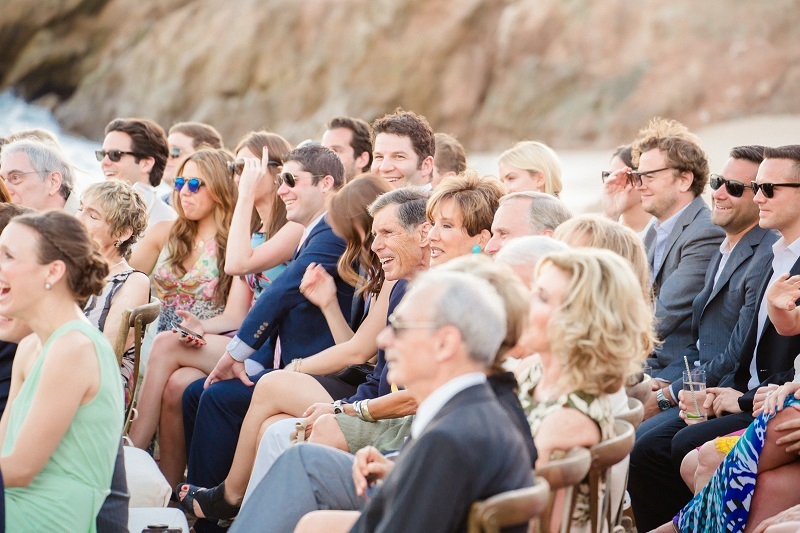 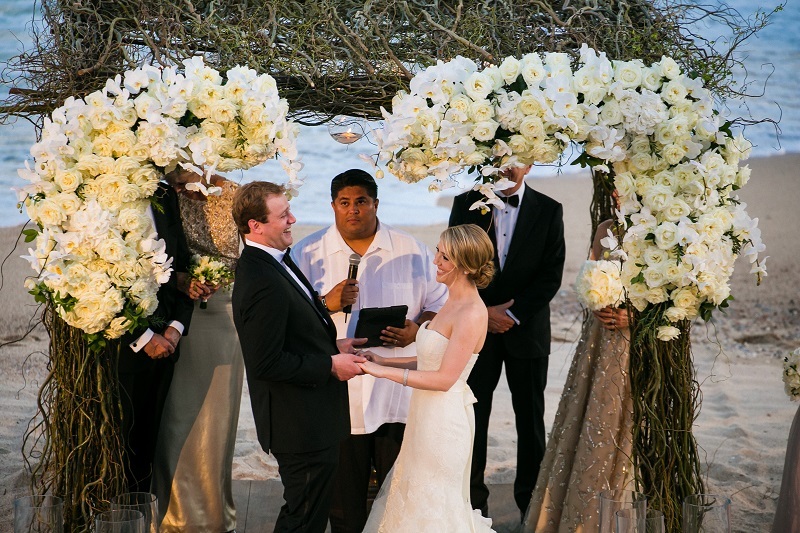 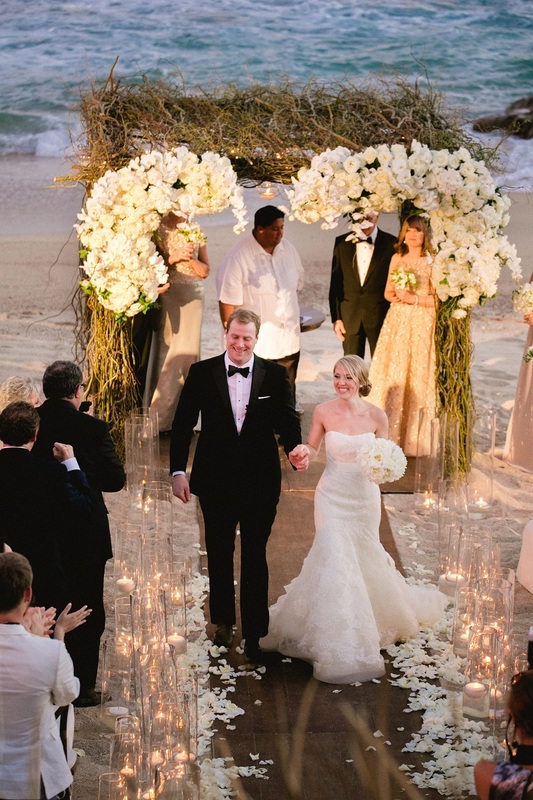 “Even though we decided to have our wedding on the beach, we wanted it to be romantic and elegant,” says Molly. 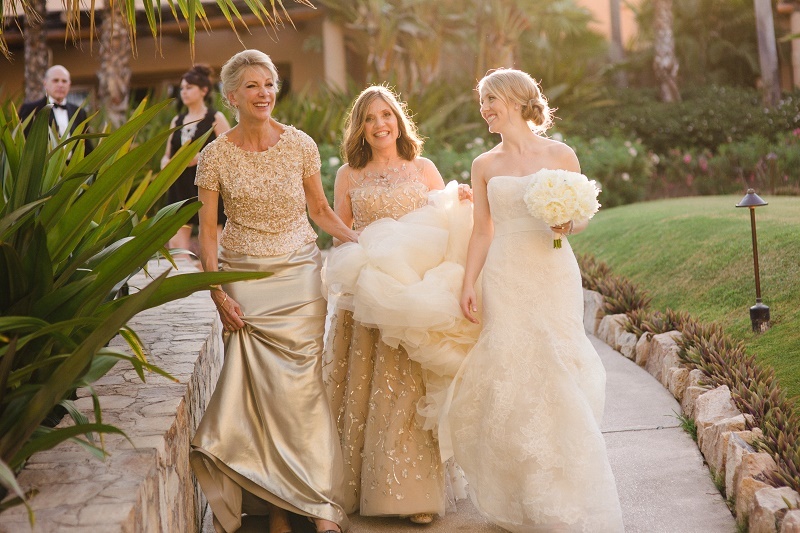 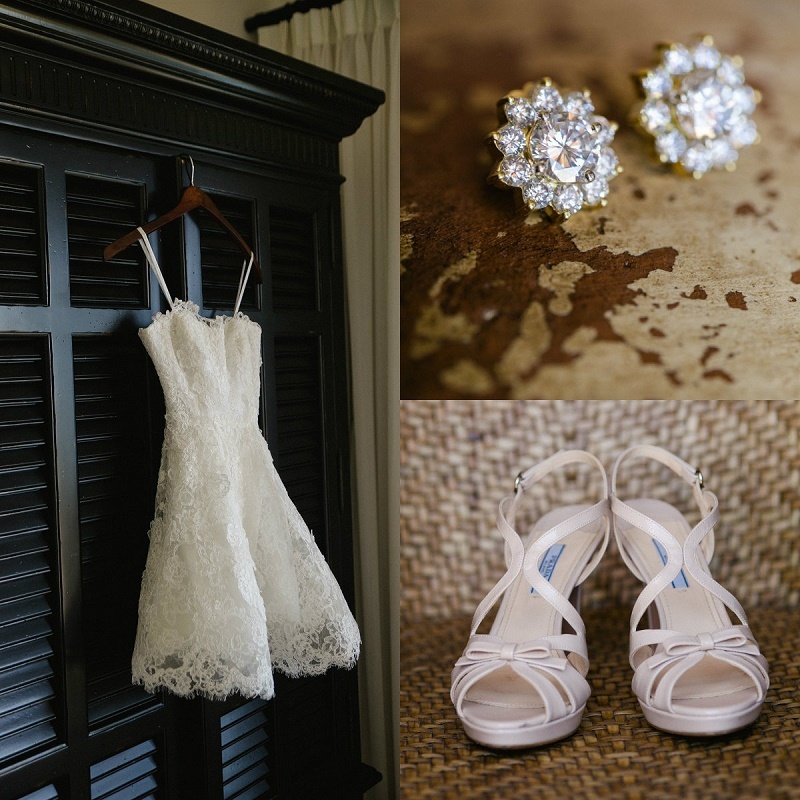 The petite bride wore two bridal gowns on her day: first, a lovely, lacy confection from Vera Wang for the ceremony and reception; then, for the after party, a short and sassy lace gown by Monique Lhuillier. 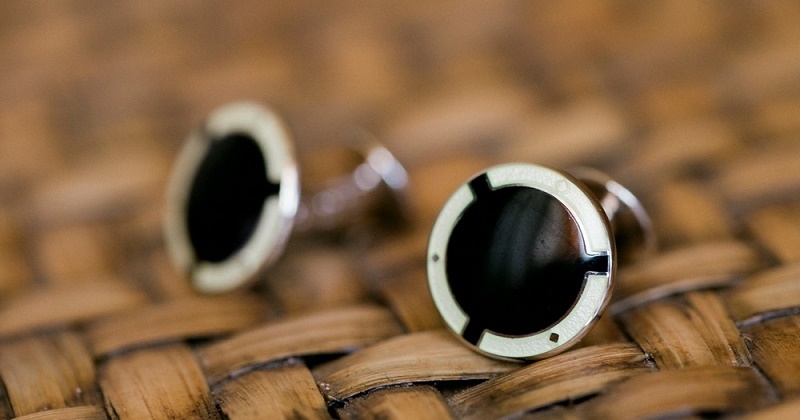 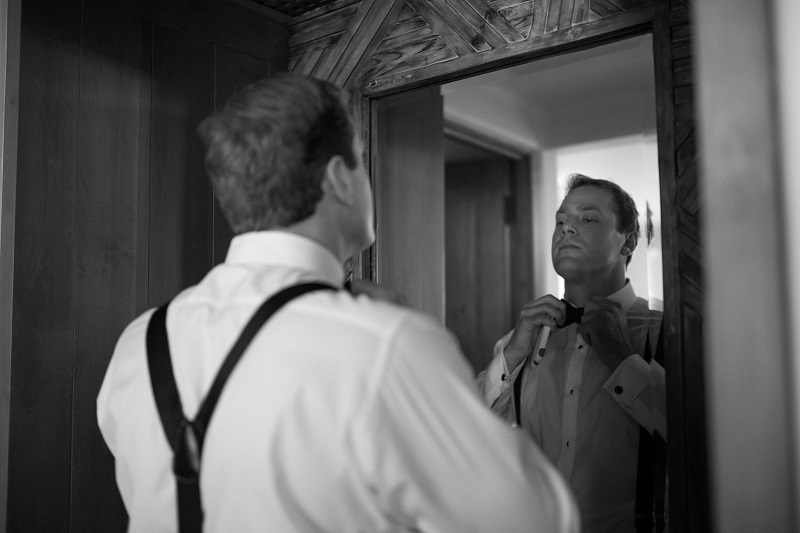 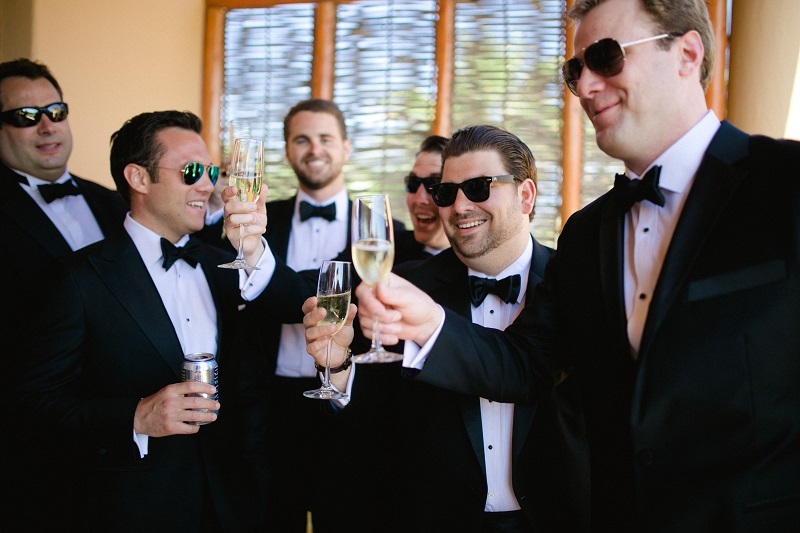 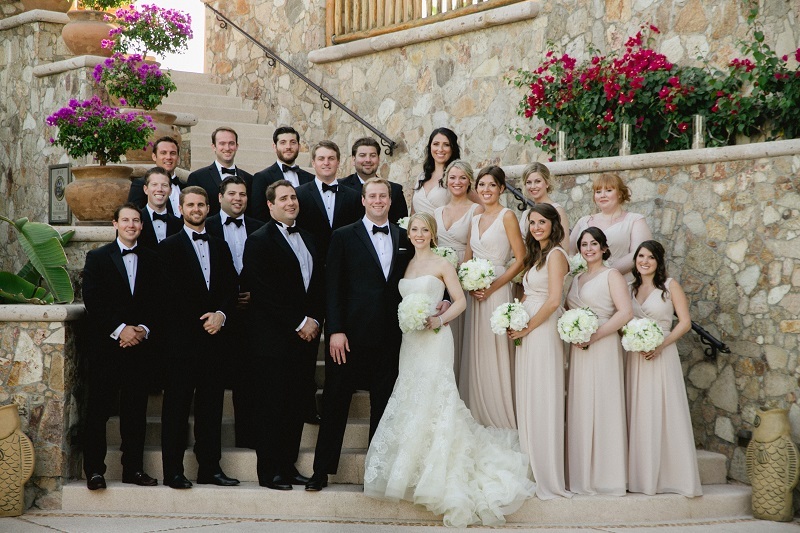 Alex and his groomsmen wore traditional black tuxedos and the bridesmaids wore long, flowing, flesh-toned evening gowns. 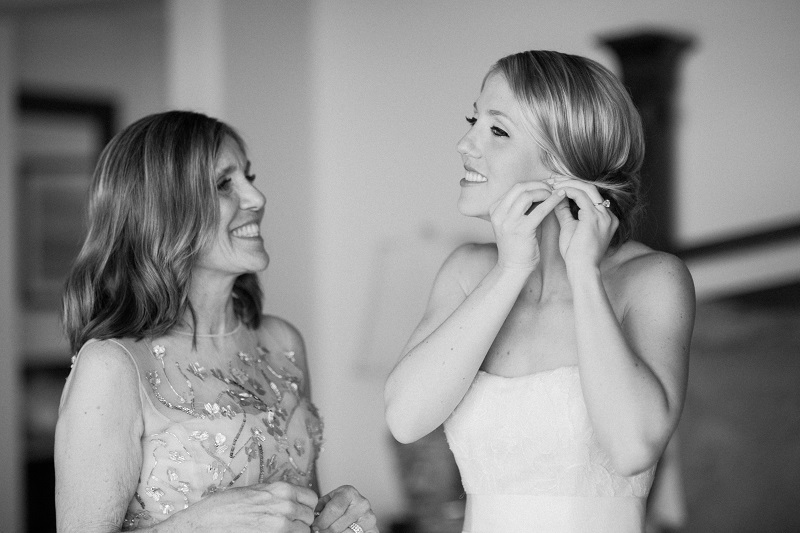 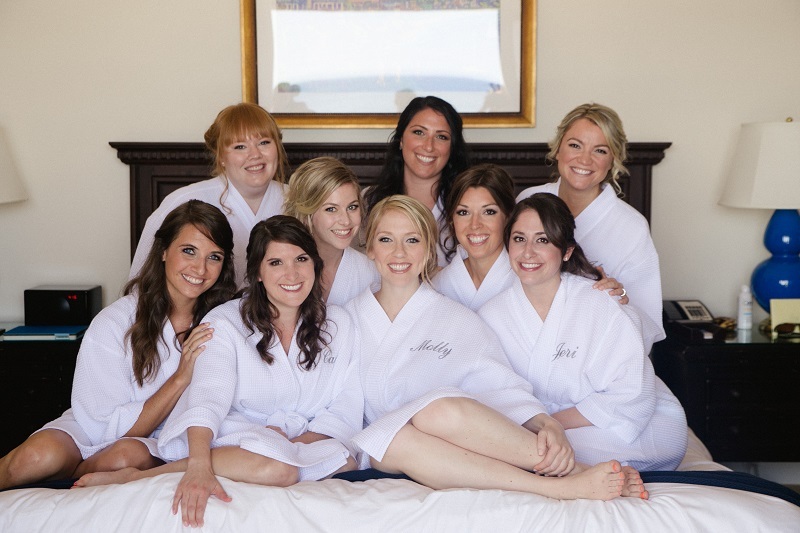 Certainly, one of the most precious parts of the wedding day was the time shared with the bridal party, getting ready and even working out together first thing in the morning! 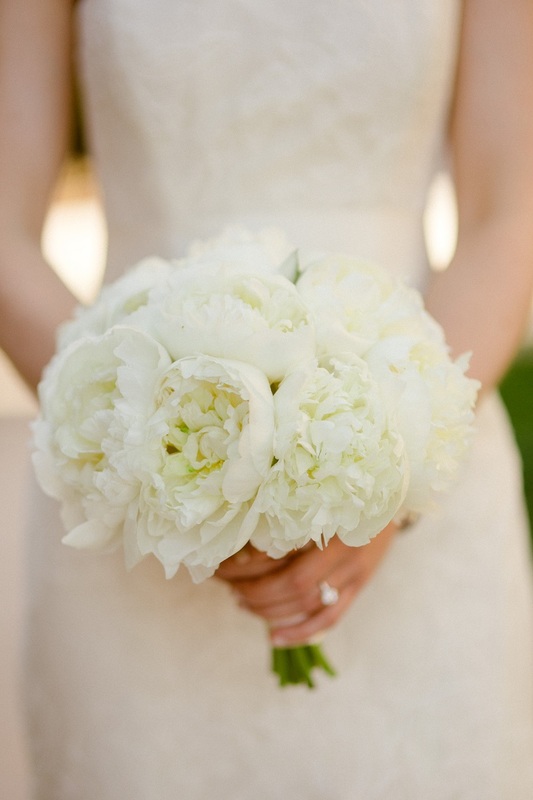 THE BRIDAL BOUQUET was classic, just luscious white peonies in full bloom, hand-tied and wrapped with ivory double-faced satin ribbon. 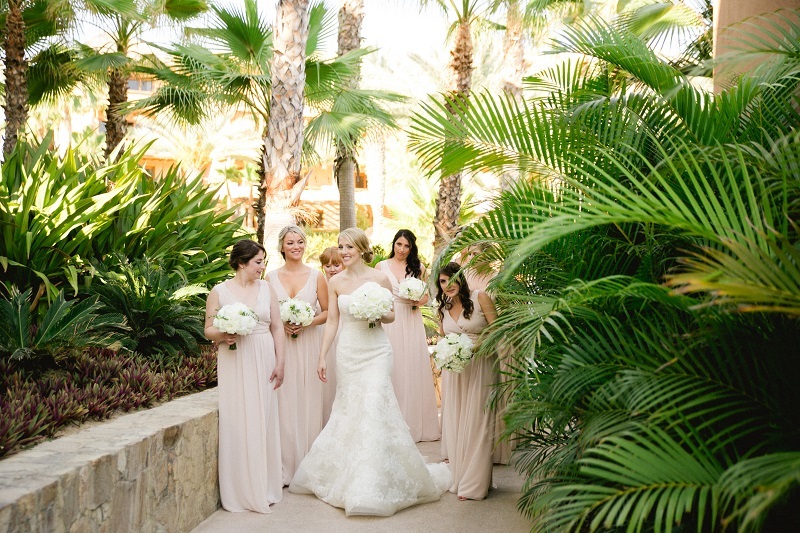 The bridesmaids carried pretty bouquets of white hydrangea, roses, freesia and peonies. 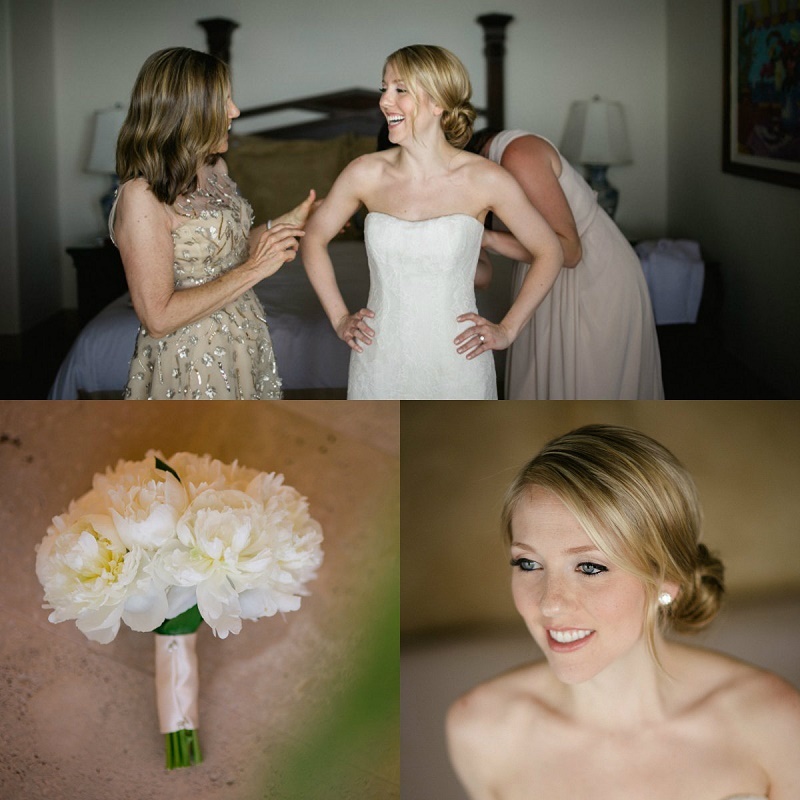 Small posies of freesia and roses were created for the mothers to carry down the aisle. 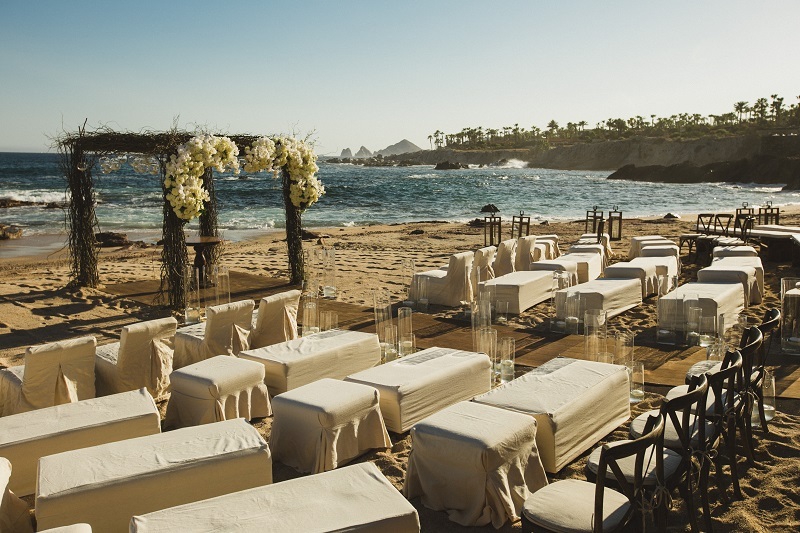 THE OVERALL EVENT DESIGN CONCEPT for the wedding was to encapsulate the warmth and elegance of the couple and their families. 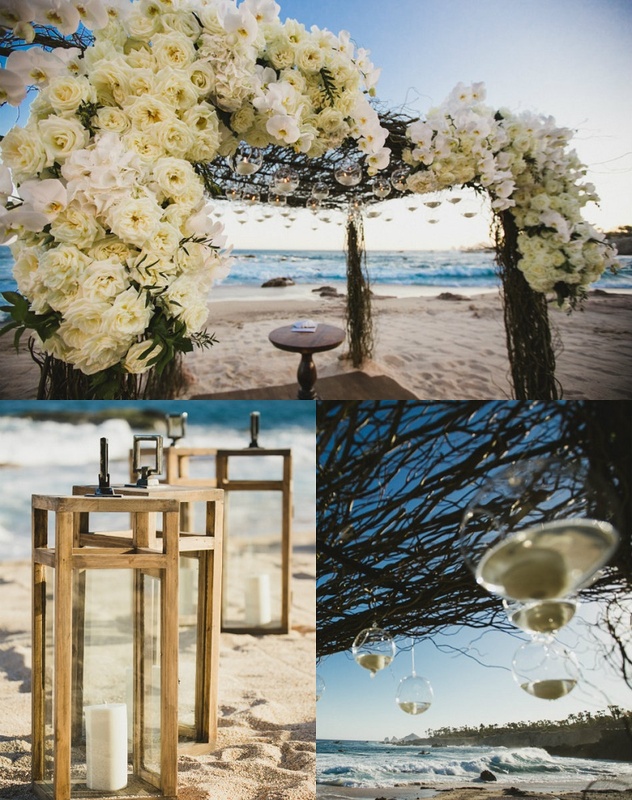 Soft, natural tones of taupe, ivory, and white blending with raw wood, weathered white, organic floral arrangements with full, lush blooms, and, of course, tons of glowing candles everywhere! 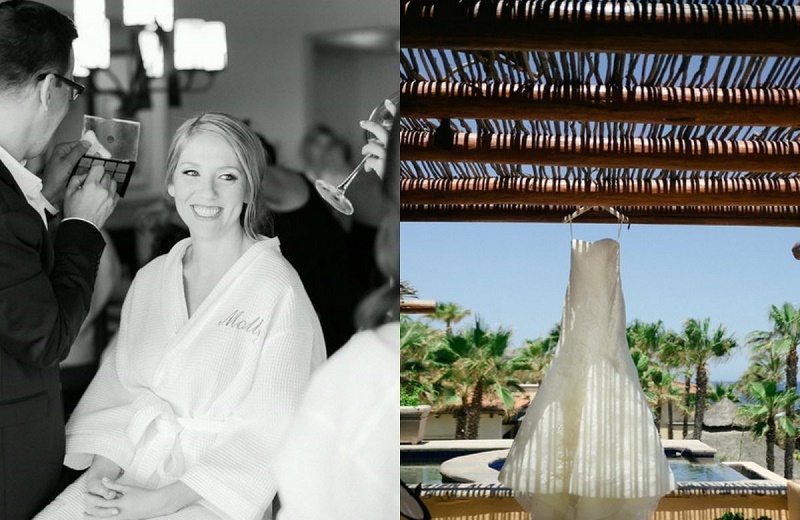 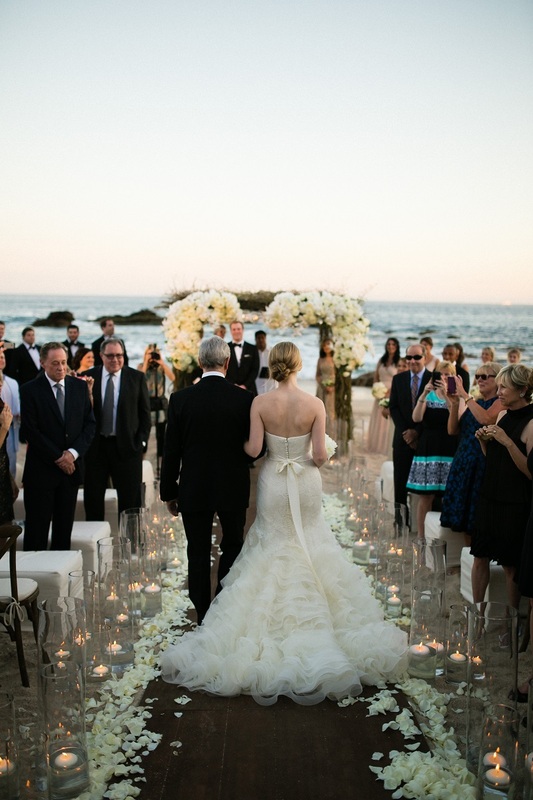 Candlelight was an extremely important element for the bride and was incorporated into every setting created for the celebration, beginning with the ceremony on the beach. 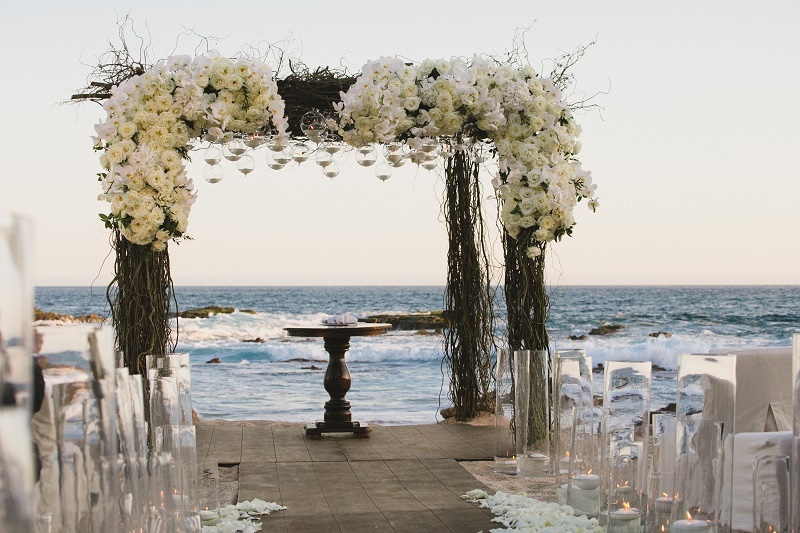 The Jewish Chuppah was designed entirely out of willow branches for a natural, slightly whimsical, tone which perfectly highlighted the dramatic display of ivory roses and orchids adorning the front side of the eight foot structure. 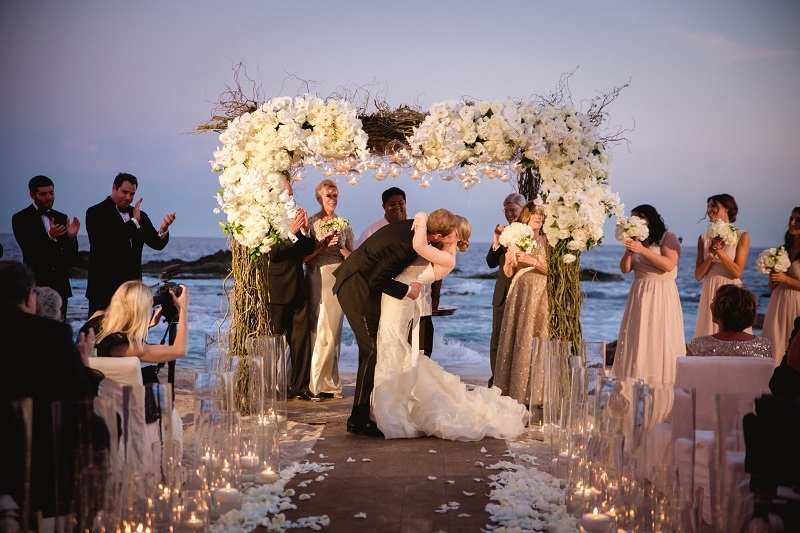 Hanging from the underside of the Chuppah were dozens of floating candles in our round glass spheres. 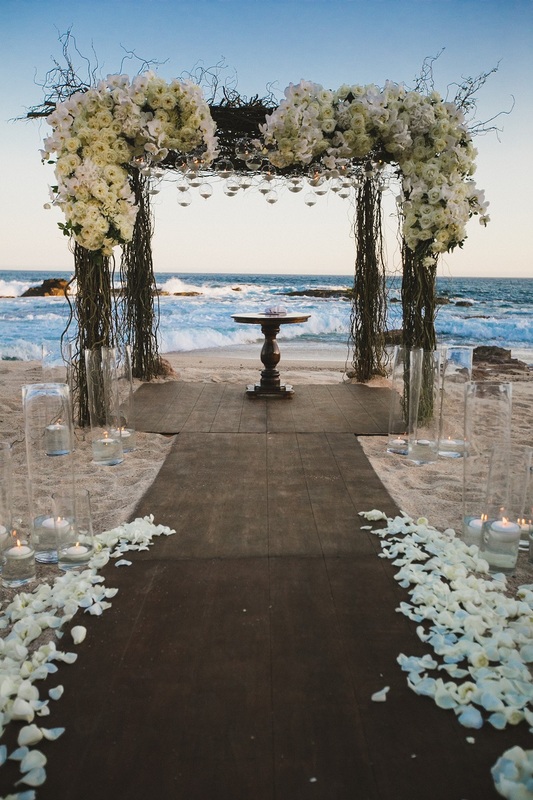 A dark wood pedestal table was placed under the Chuppah and a mix of wooden furniture, from upholstered chairs to benches and ottomans, was set out symmetrically for guest seating. 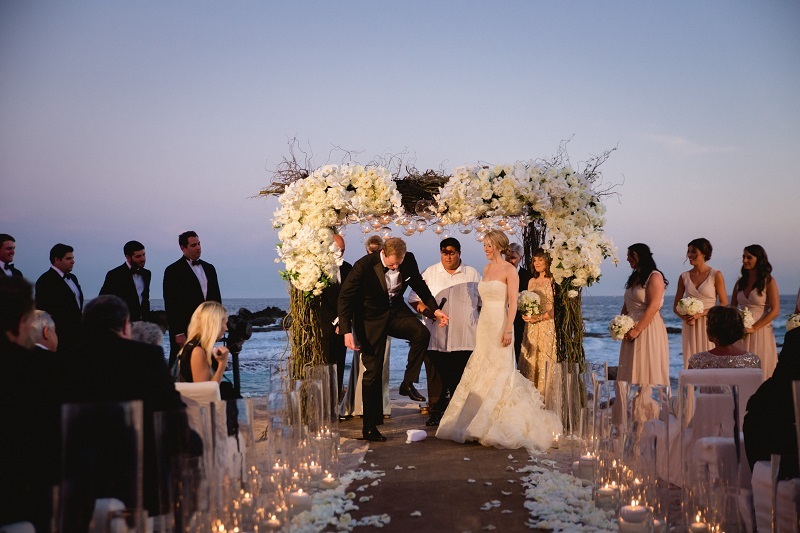 A custom-built rustic wooden path was installed as the ceremony aisle and Chuppah floor which we lined with ivory rose petals just before the start of the ceremony. 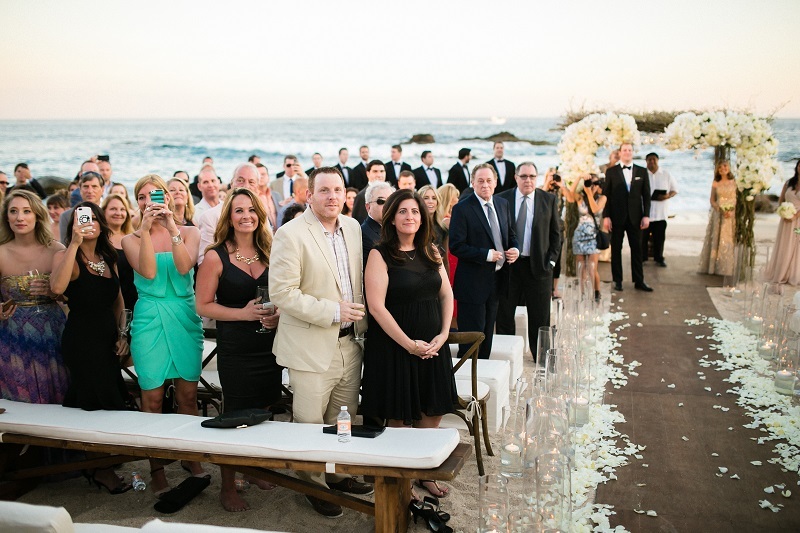 On either side of the aisle we placed modern glass cylinders in varying heights with floating candles which, as the sun set during the ceremony, added yet another layer of mystery to the experience.